Master Bond EP30FL is a low viscosity, two component epoxy system for high performance potting and encapsulation as well as for bonding and sealing. It is formulated to cure at room temperature or more rapidly at elevated temperatures, with a four to one mix ratio by weight. The optimum cure schedule is 12-24 hours at ambient temperatures followed by 2-3 hours at 140-170°F. This compound is 100% reactive and does not contain any solvents or other volatiles. 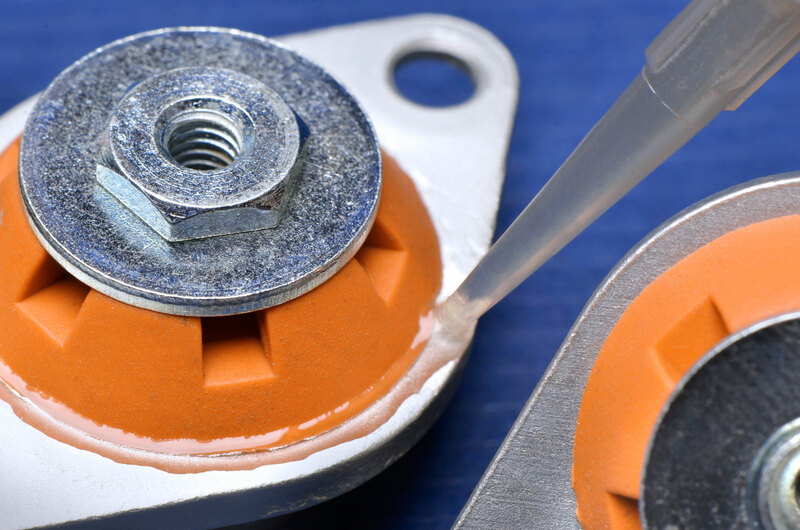 Most significantly, it cures remarkably more flexible than “typical” epoxies and is recommended in situations where resistance to mechanical shock and vibration as well as thermal shock and thermal cycling is needed. EP30FL can also be used as an adhesive or coating. It has very low shrinkage upon curing. It is serviceable over the exceptionally broad temperature range of 4K to +250°F, making it suitable for cryogenic applications. The system offers excellent adhesion to both similar and dissimilar materials including metals, glass, ceramics and many rubbers and plastics. It withstands a variety of chemicals including water, oil and fuels. The hardened compound is a superior electrical insulator. The color of Part A is amber and Part B is clear. EP30FL is widely used in the electronic, electro-optic, aerospace, specialty OEM and related industries. EP30FL is available is various sizes and units to accommodate customer's needs.